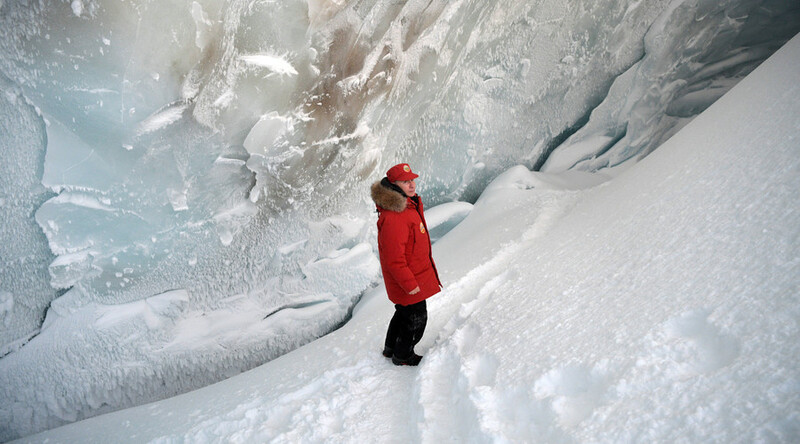 Visiting a three-story-high glacier on the Franz Josef Land archipelago in the Arctic, Russian President Vladimir Putin took matters into his own hands. He grabbed an ice pick, carving out several fist-sized fragments for scientific research. 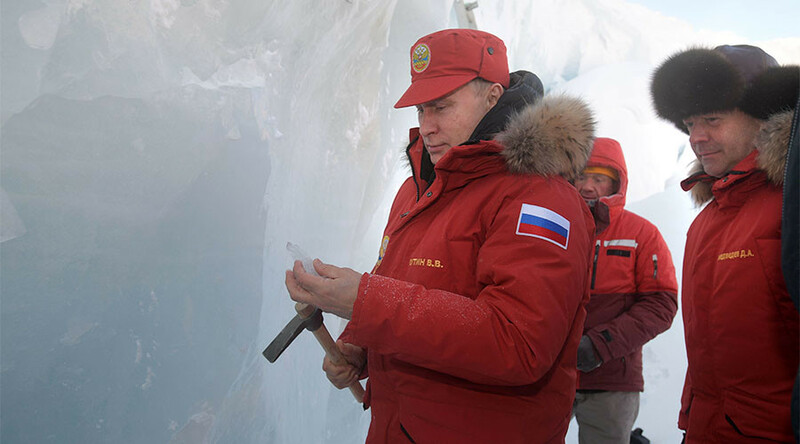 Scientists showed small air bubbles inside the ice fragments to Putin, explaining that those will help researchers analyze the composition of Earth’s atmosphere dating back several hundred years. 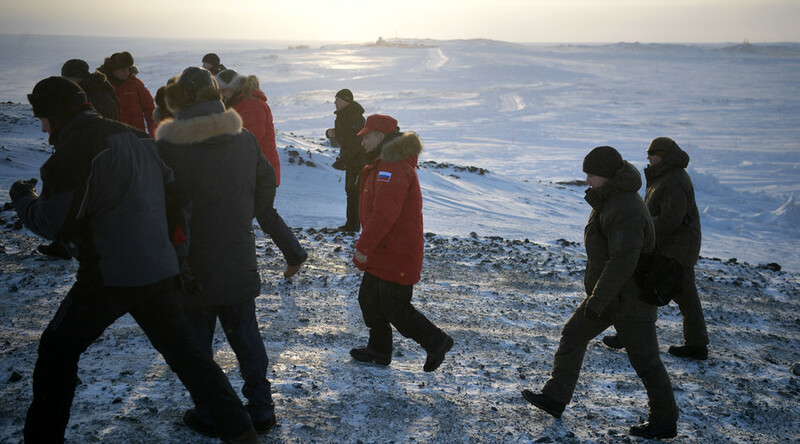 Prime Minister Dmitry Medvedev visited Franz Josef Land along with the president and later posted several images on his Instagram page. Putin arrived at the site to inspect waste clean-up operations in the region. 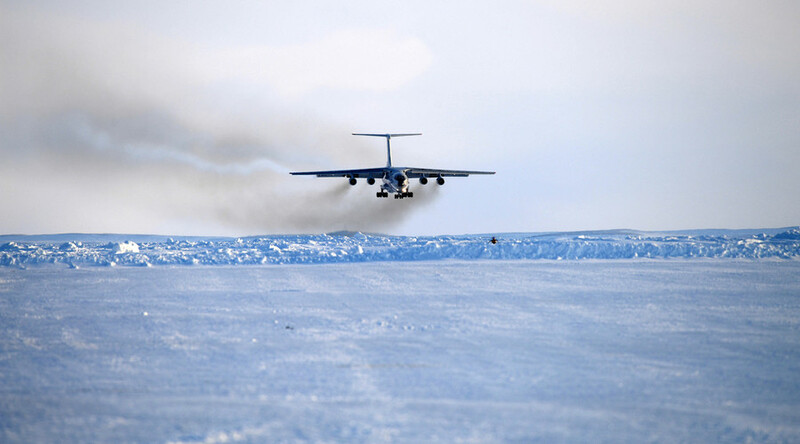 He said Russia is open to a “broad partnership” in the Arctic with other nations to work on a range of blockbuster projects, from development of natural resources to environment protection. The latest estimates put the value of Arctic's mineral riches at $30 trillion, he said. Putin ordered the Russian military and security bodies to ensure the protection of the country's national interests in the Arctic region.